Bangalore: At the College Board’s 2nd annual India Global Higher Education Alliance Symposium, leaders from the Alliance’s member universities gathered with prominent experts from the World Bank, Brookings India, Manipal Education Group and the Consortium for Higher Education Research in Asia (CHERA), to discuss how to advance higher education in India. Leaders held a wide-ranging roundtable on internationalization and innovation in Indian higher education. Dr. Francisco Marmolejo, the global lead for tertiary education at the World Bank, moderated the keynote discussion where he probed on the challenges of providing high quality education at the scale needed to meet India’s demands. Panelists engaged in honest dialogue about the key challenges in Indian higher education while offering solutions for consideration. Dr. Mohandas Pai, Chairman of the Board at Manipal Global Education, laid out a series of recommendations for India Global Alliance members to consider, including, increasing autonomy at leading universities, and connecting university researchers to India’s national laboratories. He also offered pragmatic suggestions on how to increase faculty research. 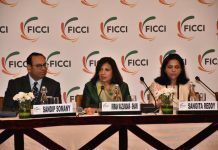 Dr. Shamika Ravi, who is a member of the Economic Advisory Council to Prime Minister Modi and the Director of Research at Brookings India, argued that while it is helpful to look at diverse examples of successful institutions from around the globe, members of the Alliance should not merely import policies and practices from the West. Rather, universities in India need to consider the country’s specific needs. Dr. Gerard Postiglione, an Honorary Professor at Hong Kong University and Coordinator of the Consortium for Higher Education Research in Asia (CHERA), remarked on the energy that is building in India around reform in higher education. Dr. Postiglione advocated that the time is right for Indian institutions to shift away from lecture-based classes to more project-based coursework. As the group reflected on the work that institutions must do to transform themselves into true global centers of learning, James Montoya who is the head of Membership, Governance and Global Higher Education at College Board and a former vice provost of Stanford University in California, USA, reminded the group that institutions must put students at the top of their priority list. This powerful and passionate discussion laid the foundation for members of the India Global Higher Education Alliance to begin to develop concrete actions that Alliance members can take as individual institutions and as a collective consortium to improve the transition from secondary to higher education. 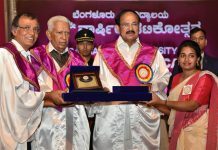 Institutions are clearly valuing these opportunities to pause from their daily work and engage in through-provoking discussions as more universities are seeking to participate in the India Global Higher Education Alliance, an international consortium of prominent institutions that have come together to foster collaboration and sharing of global best practices to advance access and excellence in higher education. 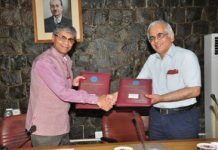 The College Board announced that eight more innovative Indian universities, as well as the University of Melbourne, in Australia, have joined the Alliance. Alliance members in India accept the SAT exam from students within India as well as international applicants as a part of their admissions process. The University of Melbourne joins as an Affiliate Member, adding an Australian perspective to the dialogue on the transition from secondary to higher education through a global lens.